Equipment: All campers should bring: bat, helmet, cleats, glove, sunscreen, and a snack/lunch. Lunches can be purchased through the camp for $7 (price is subject to change). Please ensure campers names are on all their belongings! 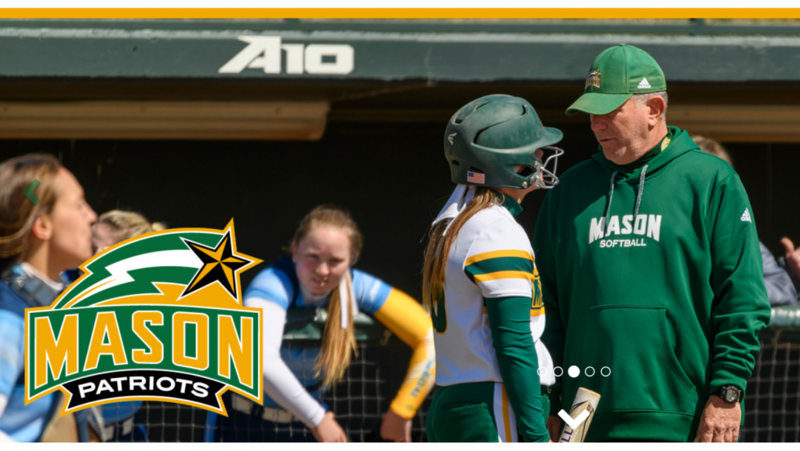 George Mason Head Coach Joe Verbanic welcomes you to register for this summer’s Softball Camps! Camps will focus on the fundamentals of all aspects of the game including proper throwing mechanics, increasing arm strength, defensive fundamentals (IF, OF, pitching & catching), swing mechanics & base running. We have assembled a veteran group of coaches experienced in camp instruction & dedicated to helping each camper become a better softball player.